Working in an office can get extremely tedious. Especially when you see the same people day after day. If you enjoy the presence your co-workers that is one thing, but if you don’t, things can get a little more complicated. Is Karen from HR constantly sticking her nose where it doesn’t belong? Did David take credit for all the work you did on the brand relaunch, again? Need a little excitement in what would be another mundane day handling the daily grind? Don’t get mad, get even. 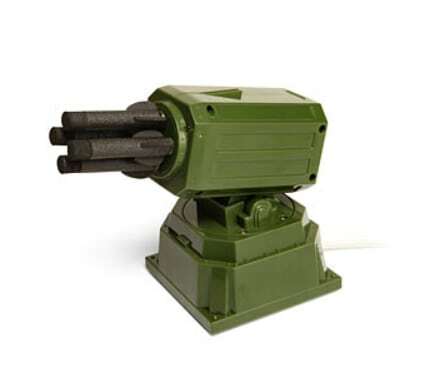 Declare war on your co-workers and then defeat all of your enemies with these awesome weapons for your cubicle. This solid wood handgun can pack the heat of 5 rubber bands and shoot them at a whopping distance of 20 feet. This handgun was modeled after the Walther PPK handgun, formerly used by James Bond. It is not only stylish, but it’s easy to load and shoot. Since the ammunition is rubber bands, you’ll never be caught out of ammo as long as you can stop by the supply room. “Boy does so-and-so love their rubber bands,” they’ll say, never really knowing that they could be your next target. 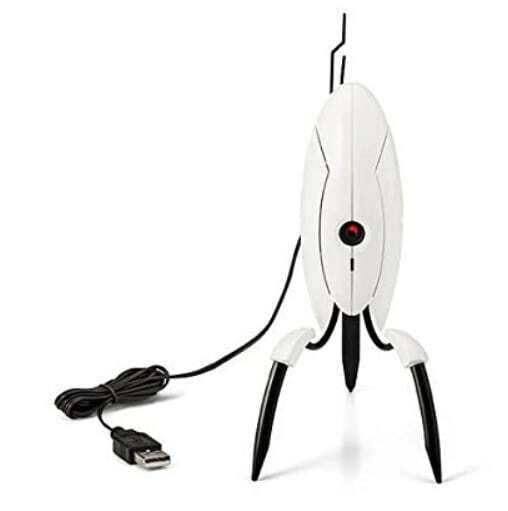 Now you have the power of a rocket launcher at the tip of your fingers. This powerful nerf-filled device can be controlled right from your computer. Set it on top of your cubicle walls to defend the loving family photos scattered about your desk. 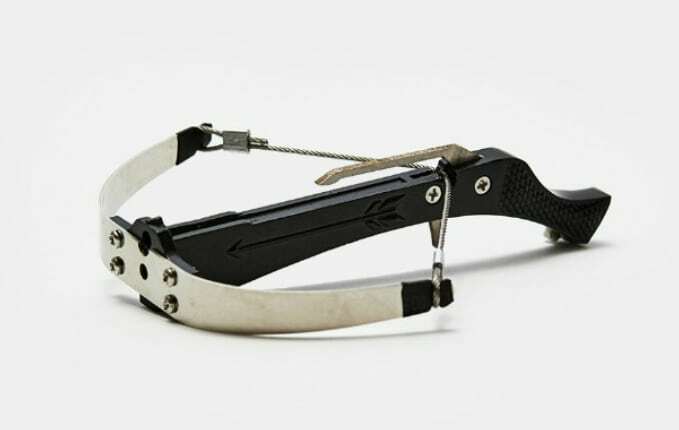 No one shall dare approach your cubicle asking to borrow a stapler without the threat of being shot at from up to 20 feet! Install these around the office to set off the most annoying sounds to prank your least favorite co-workers. 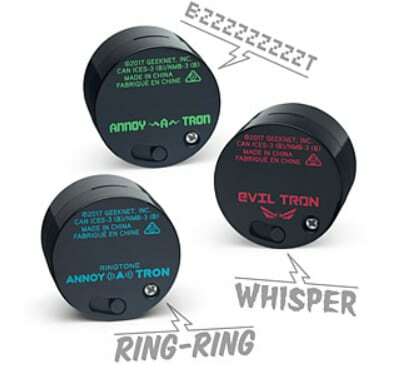 This three-pack gives off its own unique, yet equally-annoying sound that varies from buzzing, creepy whispers, and phone alerts. Just be sure to have some noise-canceling earphones handy, so you can innocently shrug when your co-workers start going crazy. Defense is just as important as offense. With this handy device, you can speak openly with your allies knowing that anything discussed will be done with confidence. Sign peace treaties without anyone else knowing whose side you’re on, and most importantly you can plan attacks on your neighbor. They’ll never know what hit ‘em. 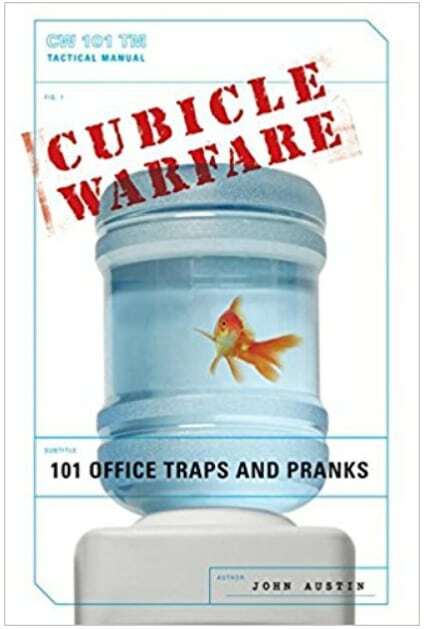 With this handy book, you’ll learn how to set traps around the office and the best pranks to pull on everybody in the office. The best part of this book is that you only need to make one investment: this book! Everything you need can be found around the office. Make Paper Clip Chains and learn how to cover a cubicle in post-its. 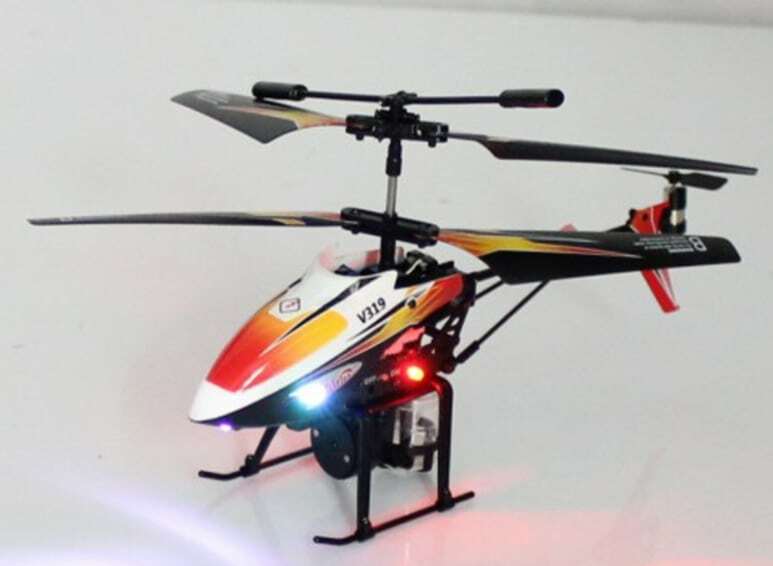 Attack your co-workers with blasts of water from the safety of your cubicle with this remote-controlled helicopter. Attacking from the sky allows you to cover more ground, which means more enemies will be destroyed. 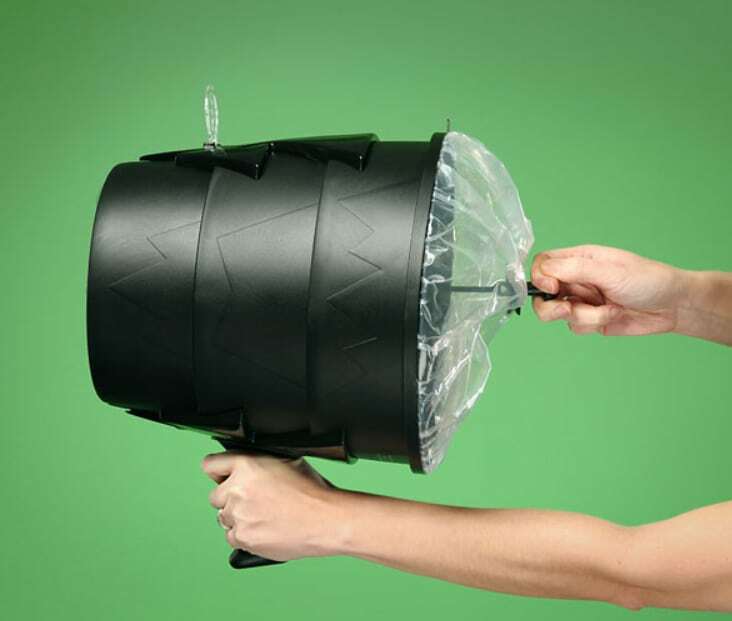 Shamelessly stroll around the office with this Airzooka in your hands and blow everyone away. This air gun works by pulling and releasing a built-in elastic air launcher. Blow away your co-workers’ paperwork, puff them in the face to mess up their hair, and since air is everywhere, you’ll never ever run out of ammo! Do not try this product on the moon. Go undercover with this Phantom KeyStroker. Although this device looks like a run of the mill USB drive, in reality, it is so much more than that. Plug this USB device into any computer and you’ll have your co-workers pounding at the keyboard in frustration. This clever piece of tech will make random mouse movements, toggle into caps-lock, and type out random words and phrases. The name says “toothpick” but any skinny item will do. Attack your co-workers with q-tips, matches, or whatever you can find at your desk. Set your crossbow on anyone you’d like and watch as the toothpicks rain down upon the popcorn burners and seafood lunch eaters. That will show ‘em. This particular weapon is what could be referred to as an “enigma.” Is it a weapon or is it a useful tool for dispensing treats? It must be both. Perhaps you’ll find the perfect use for this device on your office spouse when you’ve gotten into a fight. The lighthearted bop of a marshmallow to the forehead at a distance of 30-ft will surely result in fits of laughter over fits of anger. It’s time to get serious. Probably the most intense weapon on this list, it is not a device for the faint of heart. 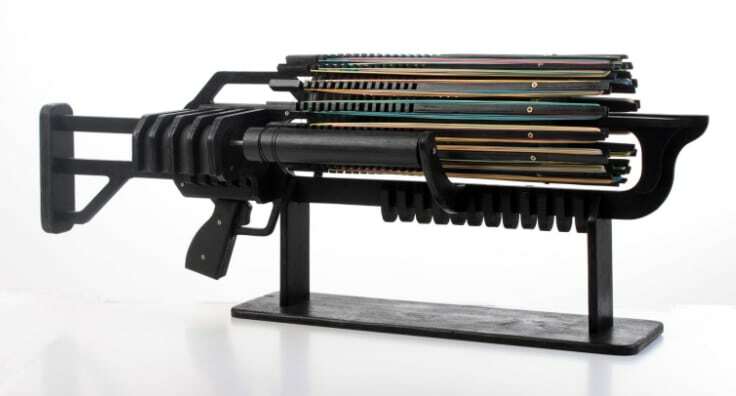 The fully automatic machine gun shoots as many as 672 rubber bands at your enemies at rapid speeds. At 14 rounds per second, you’ll be unstoppable in the war that is the common workplace. If you’re waiting on the next shipment of air guns to restock or you don’t feel like breaking the bank on expensive flying drones, there are always creative ways to turn ordinary objects into cubicle weapons. 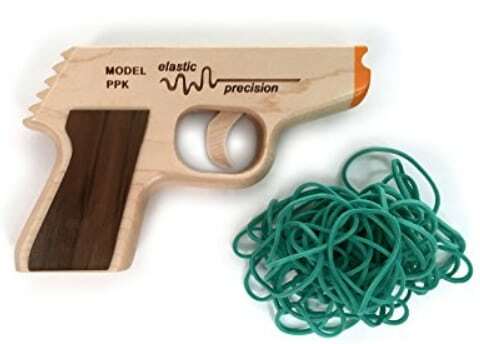 Check out www.instructables.com to find out how to turn a mouse trap into a gun and turn paper into nunchucks! There are endless ways to attack your neighbors with things found inside your dusty desk drawers. These weapons can either make you the office pariah or turn you into everyone’s favorite co-worker. Either way, with all of these fun weapons at your disposal you’ve just declared war on the whole office and you can be confident that victory is yours.